EliteSurveySites have always tried to find new ways for you guys to make much more money with paid surveys. Today we will tell you one little trick that will make you over $100 in less than a day!!! The competition between big survey companies is huge. And because they want you to register with them, many of these paid surveys have started to pay signup bonuses. Register with them and get paid for doing that. Typically, survey sites pay $5-10 for registration. EliteSurveySites conducted extensive research on these companies. We’ve come up with a long list of legit surveys that pay for registration. If you register with all of them, the total amount of cash will be over $100. So, all you have to do is complete the registration. The total amount that you can make after registering (in less than a day) is more than $100. But we will continue our research on more companies that pay for registration, so check for updates later. Get $5 Bonus from Swagbucks! Swagbucks is definitely one of the most popular survey sites. The fact that they have paid $195 million total so far tells a lot about them. And unsurprisingly, they have been awarded and certified in our surveys as one of the best survey companies in 2017! If you are here only for your bonus of $5, you are making a mistake. Get your bonus at the beginning, but don’t stop there. On Swagbucks, you will find many more ways to make money: paid surveys, get paid to watch TV, search the web through them, save money with their great cashback program, play games, etc. Many offers, daily polls, contests and much more … You really can’t afford to miss all that. Note! Although activities like ‘get paid to search’, ‘get paid to click’ and so on, look like scams (and in many cases they actually are scams), don’t worry. Swagbucks is legit. We at EliteSurveySites have verified this from many of our accounts. They really pay. As the matter of fact, every site listed here is tested, so don’t worry. When it comes to payment options, Swagbucks looks really great. PayPal payment option is available, as well as many types of Gift Cards and Sweepstakes. Minimum payout is only $5, which you can make very fast because of the high number of offers available. In addition, it’s run by a company named Prodege, which has an A rating on BBB! I’m there – Give me $5 NOW for my effort to Register! Get $5 Bonus from Inbox Dollars Now! Inbox Dollars is another company that is among our highest paying and certified survey sites for 2017. The company behind them is CotterWeb and has an A+ Rating on BBB! These guys have paid over $50 million so far to people like you. Paid surveys, get paid to read emails, play games, watch videos, search the web, complete offers, etc. 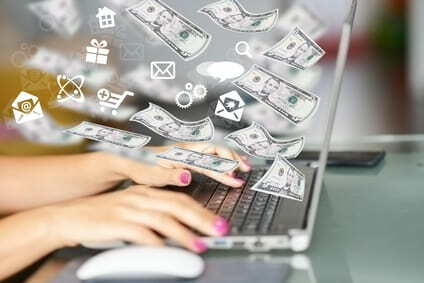 It’s really easy to make money with Inbox Dollars as they are really one of the most popular sites in the industry. High minimum payment withdraw limit of $30. This means that after you get your bonus of $5 in your account, you’ll have to do some tasks until you make $30 and cash it out. The same company, CotterWeb also runs DailyRewards for Canada users and InboxPounds for UK users. Get $5 Registration Bonus Now! 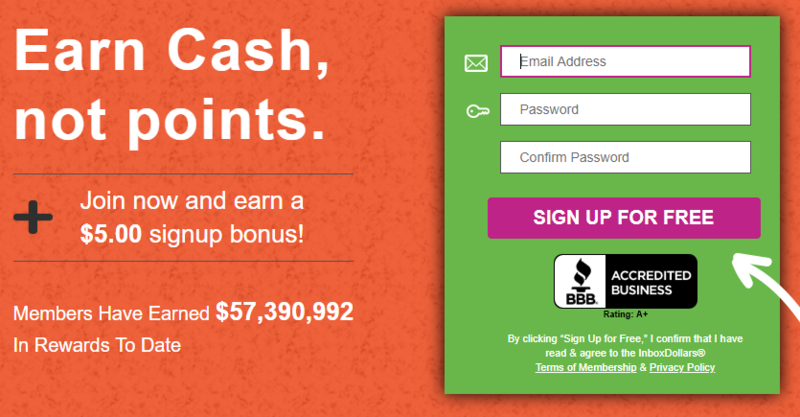 MyPoints is another site by Prodege – the company behind Swagbucks. It’s really a site that you have to be registered with. If you like Swagbucks, register with My Points as well. Their BBB rating is A. They have been rewarded and certified by us as one of the best survey panels in 2017. If you like to make money with paid surveys, read paid emails, make money while watching videos, and also participate in great cashback programs, then you have to register now. Over 10 million people who have registered with them are doing the same. They give you $10 bonus if you purchase things for $20 or more through their site. You have to do this within 30 days from your registration. Minimum payout is $5 and PayPal is accepted. In addition, they have gift cards and retailer e-vouchers. 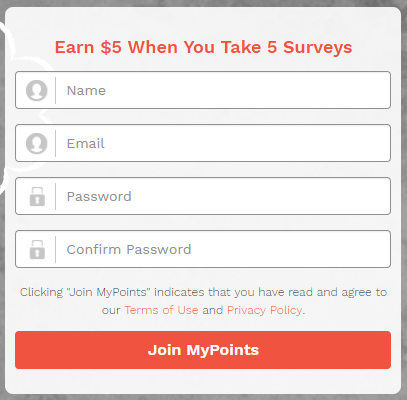 Register with MyPoints and Get $5 Now! Fusion Cash is another reward site that is very popular. It is one of those sites that you really must not skip. They offer many ways to make money online: paid surveys, get paid to search, complete offers, get paid to watch videos, make money for playing games, etc. Fusion Cash is really amazing because of their huge volume of survey offers. 1-3 offers a day or even more. Minimum payout is $25, which is not low, but the bonus of $5 will help you get it faster! PayPal payment option is available. Fusion Cash has a rating of A+ on BBB. In addition, it is among our best and certified survey companies for 2017. After registering with PointClub, you will be asked to complete your profile survey. Then you can start making money through them with paid surveys. This panel is among those that give you a few points even if you have been disqualified. Although it’s a relatively new site and not among the most popular sites in the business, it seems that it is a rising star. It is among our best survey sites for 2017. Although they didn’t receive 50% of votes to get certified by us, they got great results. And next year when we release new results, they have a chance to get much better ranking and even get certified. Their BBB rating is F. Based on this, we can definitely conclude: PointClub is a legitimate survey site! Many payment options: PayPal, many types of gift cards, and donation to charity. Minimum payout is not so low. It’s $25, but the bonus of $5 when you register with them will help you reduce it. You register, verify your registration, complete your profile survey, you instantly receive a pre-approved survey for $3-5 (which other companies don’t do) and then you get paid. Note that most of the surveys listed here still request that you complete some verification process until you get your bonus, such as complete your profile survey. Therefore, we can say that you will get $3-5 from Pinecone Research for a similar amount of time, although they don’t call it bonus. They are an invitation-only panel. EliteSurveySites provides legitimate invitation that can’t be often found online. Online legitimate sites like ours have rights to send invitations to people. Pinecone Research has been certified by us as one of the best survey panels for 2017. They pay through PayPal, and minimum payment request is $1. What are you waiting for? Nielsen is, again, a company that doesn’t provide a bonus for registration. We listed it here because they actually offer to give money for free, which is similar to paid bonuses. All you have to do is install an app on your mobile phone and wait. This makes you eligible for their prizes of $10,000 every month. Why do they pay? Because they actually track your online behavior. We have noticed that people don’t like this app too much although it offers money for free. This is probably because they are worried about their privacy. There is no need to worry. Your privacy with Nielsen is ok. They are actually one of the leading companies. They use your information only for statistical purposes. Still, we recommend you to read the terms carefully before registering. Opinion Bureau is relatively new in the survey business, but it seems that their popularity is growing. PayPal payment option is available and the minimum withdraw amount is $5. This makes this site worth registering and at least trying although there is about 15 days of payment delay. Although we haven’t found many reviews of this panel, they do actually pay. We have tested this from our accounts and we got paid. Although they are an India-based company, they deliver paid surveys in many countries and in the US too! They have over 750,000 members. Unique Rewards offers you many ways to make money: paid surveys, cashback offers, watching videos, playing games and much more. Get paid through PayPal. The minimum payout is $20, but the bonus that you’ll get when you register with them will reduce the amount to $15. 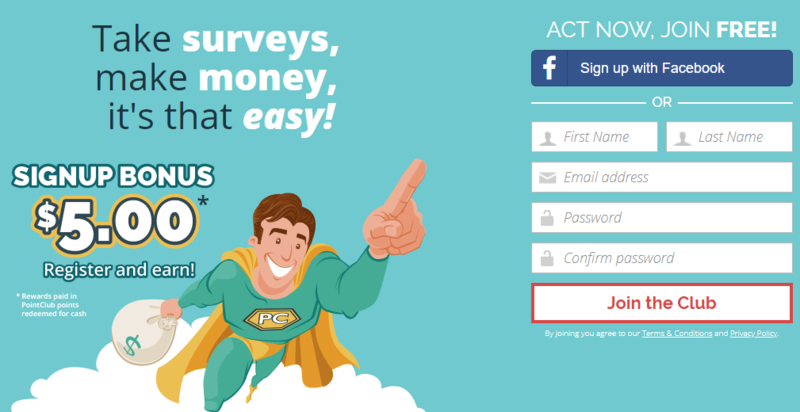 Inbox Pays is another GPT site that offers not only the option to make money with surveys, but also provides a variety of other options like cash offers, get paid to read emails, great referral programs and many contests. Inbox Pays is listed on BBB, but not accredited. We have included them in our survey. They got a decent amount of votes, which means that people like them. Unfortunately, the results were lower than 50% and they were not certified. If you want us to certify them for the next year, give them a like as our surveys are still open. Although it seems like they should not be included among the top survey sites, we recommend them. We make money with them and they have a really great variety of offers available to people. They have a PayPal option available, but unfortunately the minimum payout is high – $50. So, you’ll have to do a lot of work and spend a lot of time to get money from them. But be sure that they are a legit paid survey site. 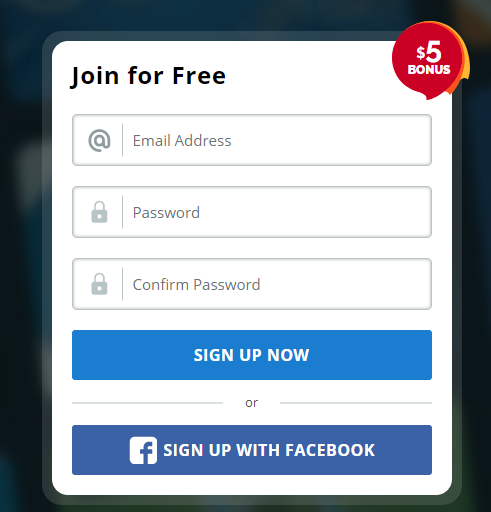 Get $5 Registration Bonus from Them Now! 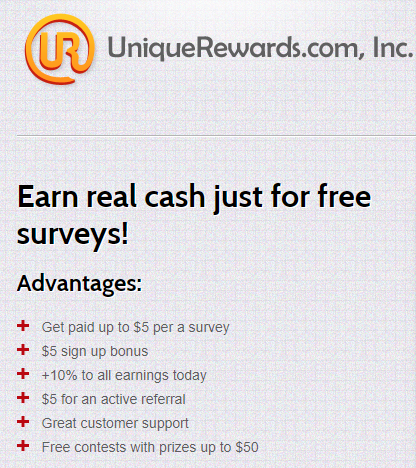 ISurveyWorld is another great company that offers you money to complete surveys. One thing that we can’t skip about them is the fact that they operate great in many countries. People outside the US know that it is not easy to find legit paid surveys. We really get a lot of positive feedback from people outside the US, telling us that they can register and actually get offers from this company. And this is definitely one of the reasons why ISurveyWorld got decent results in our survey and was actually certified! Their BBB rating is C, but it was D some time ago. This is another reason to let you know that this panel is growing and worth registering with. PayPal payment is available. $25 is the minimum payout, but the $5 that you will get initially will help you reduce it. PaidViewpoint doesn’t actually provide registration bonus. $1 comes after you complete your profile survey. The survey is very short and you’ll receive it instantly after you register and verify your registration. This is a well-known and well-designed survey company. They pay you through PayPal and the minimum withdraw is $15. Surveys are less than 10 minutes long and you will receive them often. 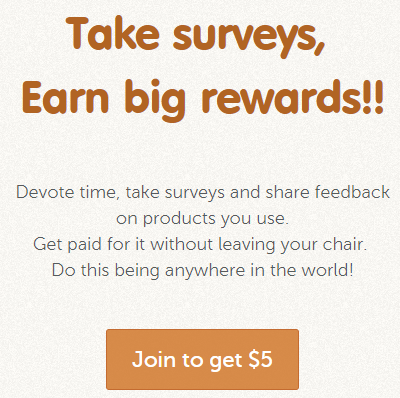 At this time, they pay only for surveys and don’t have other offers like other GPT sites. The company behind them, Umongous, Inc. has a rating of C+ on BBB. In our surveys, they got a decent amount of votes and we certified them for 2017. One of the reasons for the high amount of votes that this company got is surely the fact that they operate in almost every country in the world. People from many small countries reported some surveys available to them … not a lot of them, but some are available. Although they do not have a high rating on BBB, we can conclude for sure that PaidViewpoint is among the best in the business. 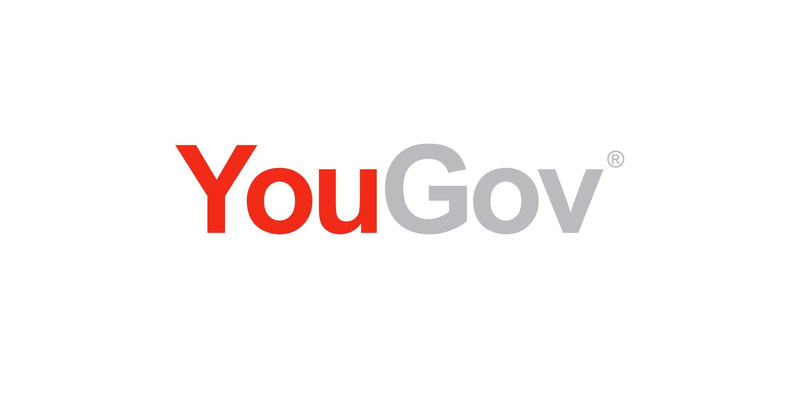 YouGov is one of the most popular sites that pay money for your opinion. Although their registration bonus is not so high, no one should skip them. BBB rating is not high, it’s D. But YouGov got the minimum amount of votes to be certified by us. If you want to make money with paid surveys, test products and keep them, and complete their daily surveys, simply register with them. Over 4 million people who registered with them are doing the same. Most of their surveys are short – just a few minutes and you get $1. PayPal payment is accepted and the payment delay is a few weeks. Grab Points is a newly-added app on our site that works well. They got great results in our survey. They pay you money to complete surveys and offers. To start, you have to download their app and install it. To get paid, you have to make $10 and this money will be paid to your PayPal account. They are not accredited on BBB, but it seems that they are a legit survey site. Univox Community is a survey panel with over 3 million members, and is growing every day. By registering with them, you will get credited automatically with 500 points, which is $5. Their minimum payout is $25. Payments are through PayPal and gift cards. They are definitely a legit survey panel. Not a high bonus, you’d say, but CashCrate is among those old and well-known survey sites that you have to register with. They pay you for completing online surveys, completing offers, playing games and so on. In addition, they have many contests for people. They have a C rating on BBB, but they are definitely a legit survey site. TreasureTrooper is a site that provides you with several money-making opportunities. Register and confirm your registration to get your bonus. Although the registration bonus is not so high, don’t skip this site. They pay cash for surveys, completing offers, playing games and so on. This site has a very interesting design and a slightly different look than other similar sites. By registering with them, you also become eligible for their regular contests. Minimum payout is $20 and PayPal payment is available. 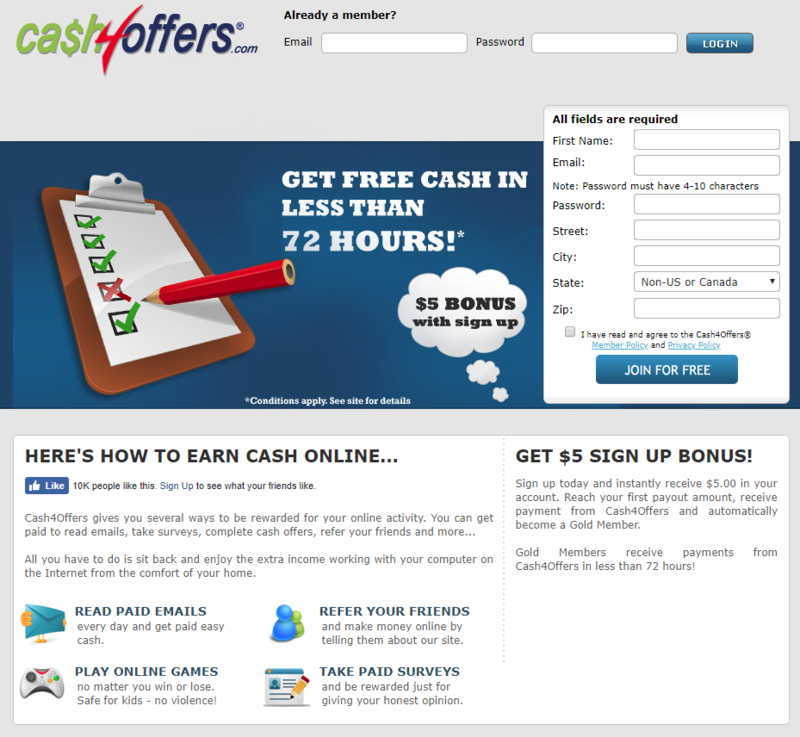 Cash4Offers is a GPT site with several ways to be rewarded for online tasks. You can get paid to read emails, take surveys, complete cash offers, and more. It’s an old and well-known site. We can’t hide the fact that their BBB rating is low: F. But they are actually a legit company that pays. They will provide you with a high volume of offers. Their minimum payout is high ($35), but PayPal payment is available. Hint: If you want to make money with this company, don’t stay inactive for a long time. They reserve the right not to pay you if you are not active. 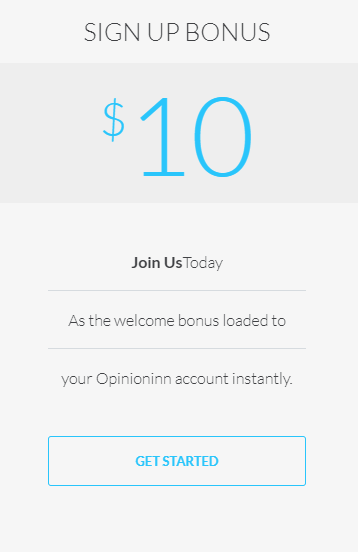 Although Opinion Site offers a registration bonus of $1, you will be added $2 more when you complete your full profile survey. So, the total bonus amount will be $3. OpinionSite is slightly different that other survey companies. They focus on business and medical surveys. So, for people who are in this field, it can be a great opportunity to make money. For people outside these fields, we recommend you to skip this site. Minimum payment is $10, but they also have one big disadvantage: no PayPal payment option. They are not listed on BBB. Creations Rewards is another not so popular but legitimate survey site that pays money for tasks that you do well. These are things like daily surveys, online shopping, watching videos, getting paid to search online and so on. If you want to get your bonus of $5, you have to make at least 5,000 points. PayPal payment is available, but they are not listed on BBB. Not one of our best picks, but still a site that you can register with now. Opinion Inn is a relatively new site, but it looks like a rising star. We at EliteSurveySites tested it and found it reliable, but still we can’t rank it high because it is new and people don’t know too much about it. We expect your feedback on this company. Cash-out amount is $25. You need to make $15 and when they add your registration bonus, you can get paid through PayPal. They said that their offers can be up to $100, which is something that we personally haven’t received on their platform. However, we are interested in your opinion about this company. Loop Surveys is a relatively new company that pays for surveys. Although new, they seem to be a rising star. They have almost 300,000 panelists who give their opinion and make money. To get the bonus of $2, the only thing that you have to do is register and confirm your registration. The minimum payout is $25, but unfortunately they don’t have a PayPal payment option. If you like this company, give them a boost in our surveys or leave a feedback for them. Although we can’t post new companies at the top of our charts (this is a part of our ranking strategy), we highly recommend you to test Loop Surveys. That’s because we received and tested some surveys that seem to pay more than the average amount. 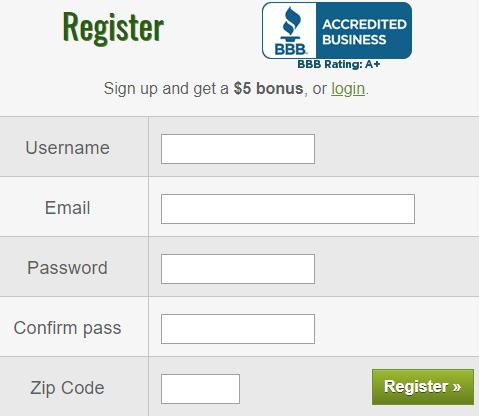 They are listed on BBB, but not accredited. Nevertheless, there is absolutely no indication that they are scam. Ebates pays you bonus of $10. Ebates is a very popular site that gives you cashback on your purchases at the companies that they have a deal with. Shop for things online and get cashback. Mr Rebates is very similar to Ebates. 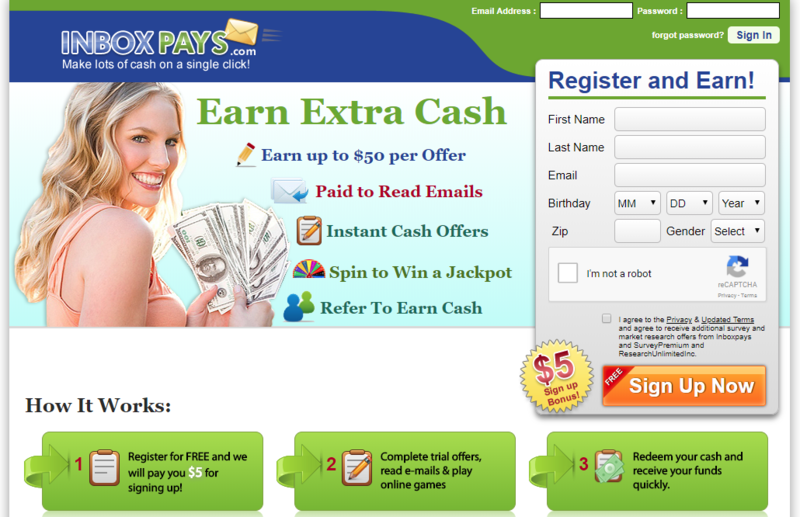 Their bonus is $5, but they are still one of the top cashback sites online. Extrabux is another cashback site with a bonus of $5. Ibotta – Cashback site with a bonus of $10. We have already reviewed these sites above. So, for people who want to read our reviews, you can find them above. Here we will only mention their names and bonuses. Free money for registration only … what’s the catch? Actually, the problem is that even if you register with all of these sites and make more than $100, this money won’t be paid to you at the end of the day. It will stay in your account until you cash it out. These companies want real people, not people that will be there only to get their bonuses. And each of these companies has their way to determine if you are a real panelist and actually plan to work for them or you are there only to get your bonus. For example, some companies will give you a bonus of $5, but their minimum payout is $20, so you will be required to do some tasks for them to get those additional $15 and cash everything out. Other companies want you to make an exact amount of money or points before you get paid. 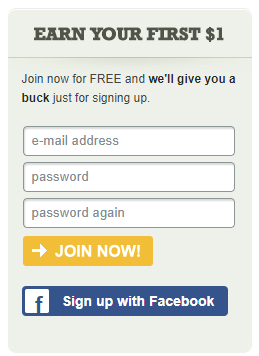 For example, Swagbucks requires you to make 2500 SB points until you get the bonus which is paid to you. This is not impossible and when you make it, the money will be in your account within a day. Also, some of these sites require you to register and verify your registration. But there are others that require you to also complete your profile survey, which seems like spending more time on their tasks although it is not a paid task. However, they will pay you money for your time. Be sure that these bonuses will stimulate you to start making money! 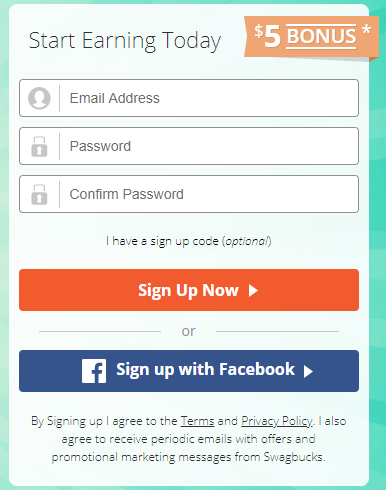 This is actually their purpose – to get more people registered. And to some extent, they do it right. When you register and confirm your registration, you will start receiving offers. Even if you are not a very active survey panelist, you will find some useful ones. And you will start making more money. Also, we repeated this many times – when you register with more survey companies, you will get paid much more because of the huge variety of offers. Do you know more sites that offer bonuses for signing up? Let us know and we will verify and post them. Daily Rewards Canada Review – High Paying Panel or Scam?